Venus Mount Lines Survey, Do You Have These Lines? 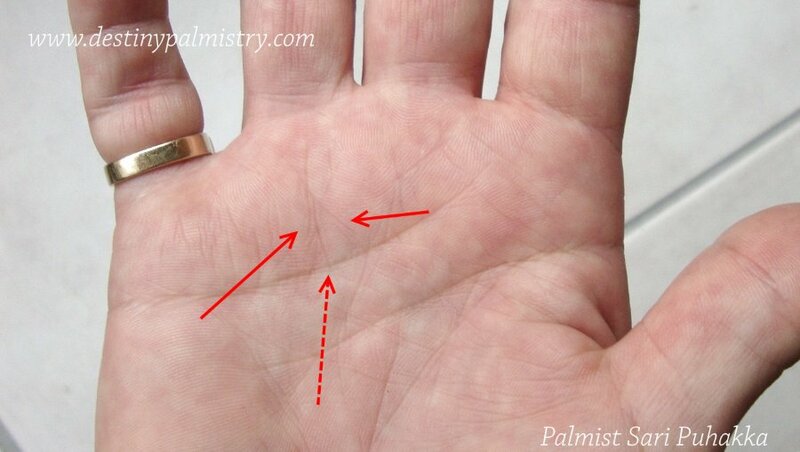 So often people ask me if I can see money and travel signs on their palms. There are several clues that might suggest these things. However, realistically it’s not possible to tell how much money a person can make or whether they will actually travel. The thumb which is open wide (not tucked close to the palm) shows an open-minded nature. They are confident and have a love of adventure, hence travelling often interests them. The life line separated from the head line suggests a carefree, independent, self-reliant personality. These people are more likely to travel due to their impulsive and courageous spirit. The line of life on a venturesome character arches towards the Mount of Moon instead of curving around the Venus mount. Look also at the shape of the hand, fingers, and mounts for a desire for travel. If a person is a committed traveller through work or pleasure, they will typically have an air (square palm, long fingers) or fire type hand (rectangle palm, shorter fingers) due to the bold and social nature. The life line should show some branches that reach towards the mount of Moon. 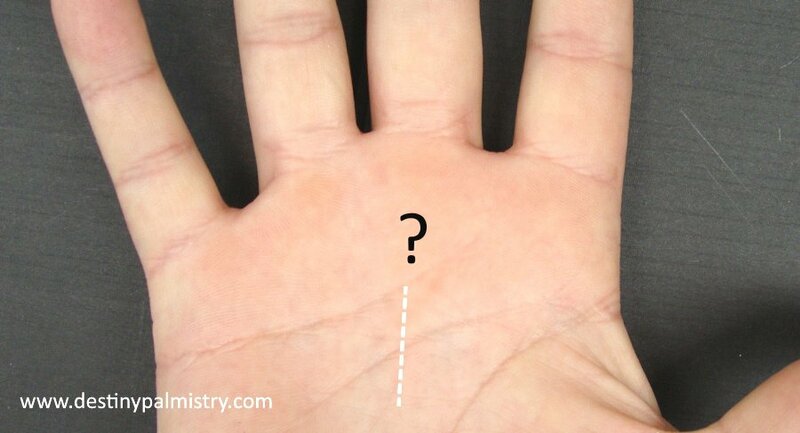 Horizontal lines on the ulnar side of the mount of Moon can also suggest travel. Money and travel signs – Are there any money signs? A double fate line. Depending on how close they run to each other can refer to two similar occupations, hobbies or study alongside career at the same time. If the lines are close, it can depict a successful business partnership and may even represent a husband or wife who is considered very supportive. Whatever the case, the second line suggests a duality of some aspect and acts as a support line, giving strength to the main line. The second formation sometimes shows up as a small fork leading into two clear directions. A branch line rising from the fate line towards Mount Apollo is particularly lucky, it depicts success through talent or creativity, often leading to fame and good fortune. Rising branch lines from the fate line are often seen as a financial gain. The success line. 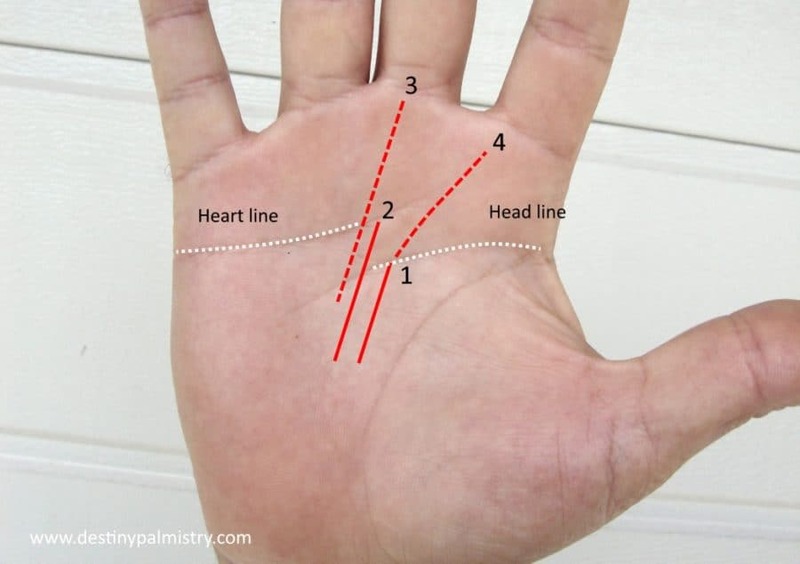 When one has the success line on the palm, it signifies the sense of achievement and satisfaction that a person feels in their life. The success line shows that there is potential for accomplishing a great deal. In some cases, this line rises from inside the life line; it is then referred to as an inheritance line, suggesting money or property acquired from the family’s estate. Two success lines can depict income from two different sources, such lines are more common on the creative types. See my video about the millionaire hand here. Success lines are rising lines to the ring finger. What Does a Short Life Line Mean?